It’s the most romantic day of the year. (Allegedly!) Some brands are also wheeling out the FREEBIES on Valentine’s Day. In one south London store they’re dishing up dozens of FREE Berry Balsamic ice creams. 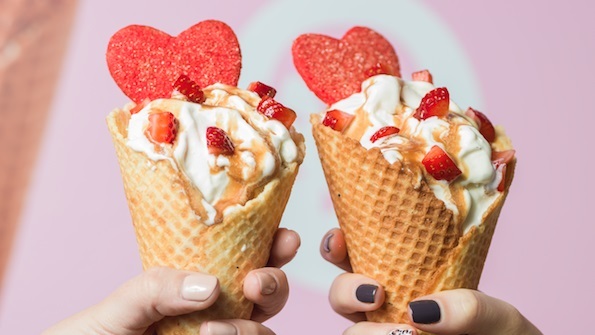 Yep anyone who fancies a Valentine’s feast can get a sweet fix at Four Winters on Gloucester Road with a quirky cone. Forget or embrace the romantic life (your choice) with a balsamic glazed strawberry and cream flavour sweet, all served up in a heart shaped shortbread biscuit. Now THAT’S love! It’s first come, first served from midday. You’ll have to hurry because when they’re gone, they’re gone. 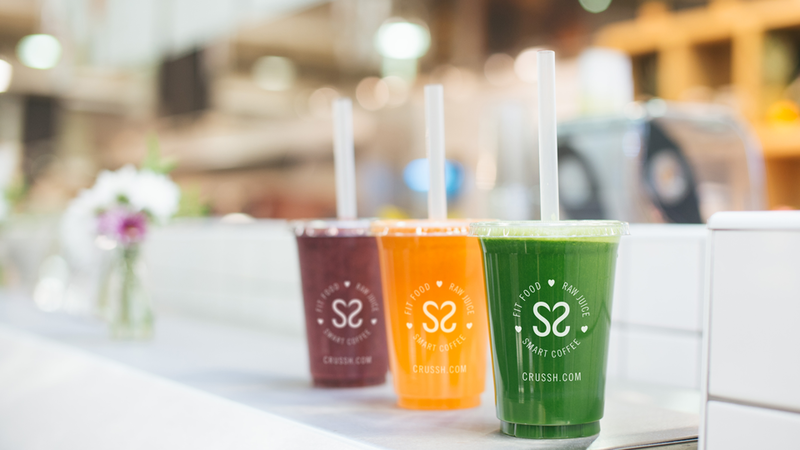 How about this for a Valentine’s thirst quencher; drinks brand Crussh is giving away 15,000 FREE drinks! How to claim? Simply grab a cup-shaped coupon which will be given out outside one of its participating juice stores throughout Valentine’s morning and lunchtime. Best to follow the company’s social media to find out exactly where.